Spinoff of Ansatsu Kyoushitsu and continuation of the anime film short. 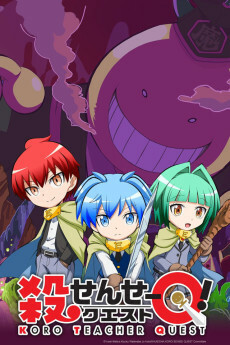 In this world, Koro-sensei is the Demon King while the students of class 3-E are cast as heroes who must defeat him. The students learn swordsmanship and sorcery at Kunugigaoka Magic School. Their strange adventure begins!